I was never really a fan of carrot cakes all these while probably because I never had any good experience eating a good carrot cake out there. Maybe the thought of eating a “vegetable” cake deterred me from wanting to try this out compared to chocolate cakes or cheese cakes. Anyway, not any longer ever since we got ourselves a Fagor oven in our new house. 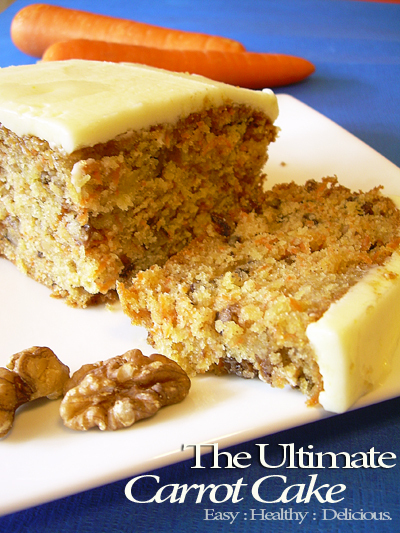 Carrot cake rocks! More so when it is topped with lemon cream cheese frosting and eaten slightly chilled. 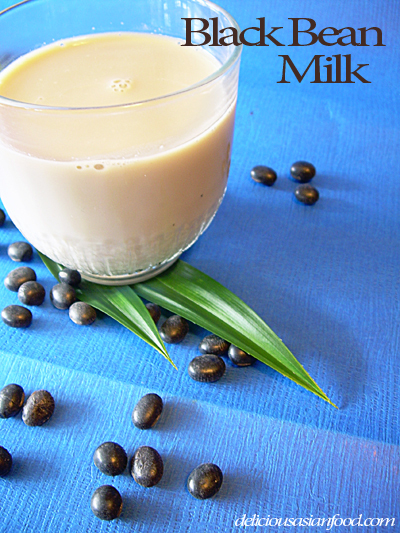 The Black Bean Milk tastes quite similar to the common Soy Bean Milk albeit creamier. It is more expensive to purchase compared to the soy bean but once you’ve made a couple of litres of this, you will then realise that the vendors are making hefty profit out of this nutritious drink (hint : a couple of hundred percent profit). The hardest work involved is the milking process – when you have to squeeze out the milk / juice from the blended beans. Ensure that you get a good filter. I used a cotton coffee filter (the ones which Malaysians use to brew coffee in kopitiams). Do not keep this drink longer than necessary. Overnight at the most, being kept in the refridgerator. Somehow, my gut feeling is that drinks made from beans are not supposed to last long especially if it did not go through any factory process. Anyway, if you are keen to impress your family or your weekend guests, give this drink a try. It’s nutritious and definitely delicious. It’s another Saturday and I was fortunate enough to be able to go to the market this morning. Seeing some fresh medium sized brinjals on sale, I couldn’t resist getting my hands into 5 of them, no longer than 8 inches each. So, shall it be sweet and spicy brinjals or another one of the tried and tested brinjal recipes I have attempted so far? Considering that my wife was baking a cake, the oven would have been set up just nicely for a brinjal roast! I have seen roasted vegetables in cook shows though roasted brinjals are kinda rare. Meanwhile, spicy brinjals are quite common here but I thought I would take it one step further by roasting the brinjals instead. It’s my maiden attempt and I am glad to report that it received favourable reviews from my wife and my sister-in-law. Though the brinjals were roasted, it was still packed with moisture and juicy to bite. The combination of dried prawns, buah keras and other ingredients which made the topping was nicely roasted to a fragrant aroma and delivered a riot of taste with each bite. For those who are not used to eating hot food, you can choose to ease off with the chilli but for those who prefer it sizzling hot, just add more chilli. 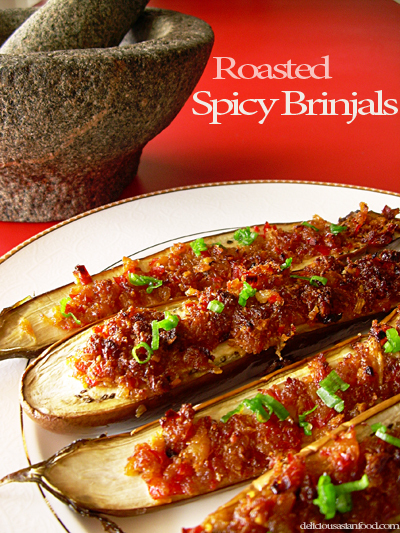 I believe the Roasted Spicy Brinjals would be suitable eaten with porridge (I actually had them with plain porridge) or steamed rice and would look incredibly appetising in any parties. Give it a try and be amazed by how delicious such a simple dish could be. Another lala recipe? 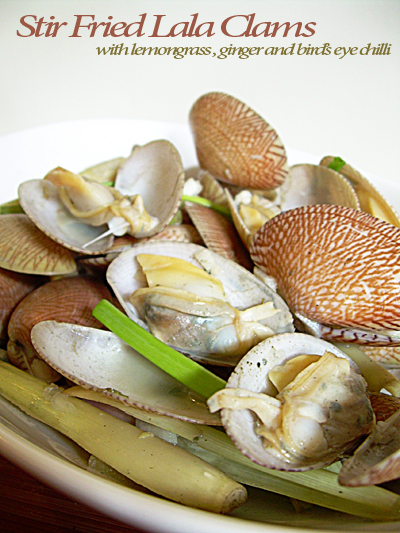 Forgive me but I am quite a fan of lala clams and since the lala clams were looking really fresh in the wet market, I couldn’t resist getting my hands on 1 kg of these sweet tasting clams. Initially, I had wanted to whip up a kamheong lala dish but later realised that I’d forgotten to get two of the essential kamheong lala ingredients : curry powder and curry leaves. Without those two ingredients, kamheong lala just won’t be kamheong lala. I’ll kamheong another day then. Thankfully, as I rummaged through my kitchen, I found some lemongrass and ginger as well as freshly grown bird’s eye chillis. Mum recently moved to my old apartment and I am now babysitting two of her prized bird’s eye chilli plants. In case you are still wondering what is bird’s eye chilli, it is also known as cili padi – probably the hottest local chilli available in this region.